Start your own Elven army with the UC Hobbit Mirkwood Infantry Helm. 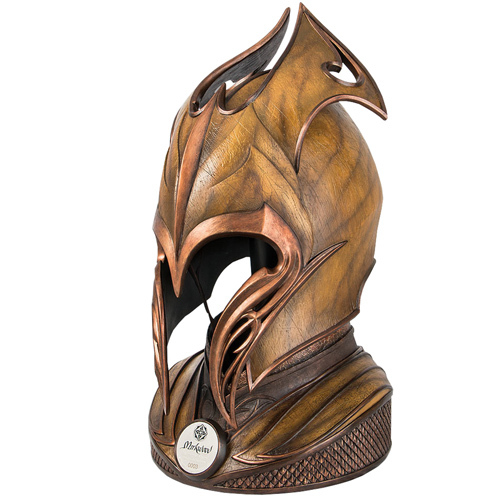 This officially licensed replica helmet from The Hobbit: The Battle of Five Armies is made out of a durable Polyresin with comfortable leather padding inside. Wear it to Comic-Con or show it off at home using the display base.